The new neighbourhood called Ribnik SB II is located next to the roundabout as one is entering Ajdovščina from the east. 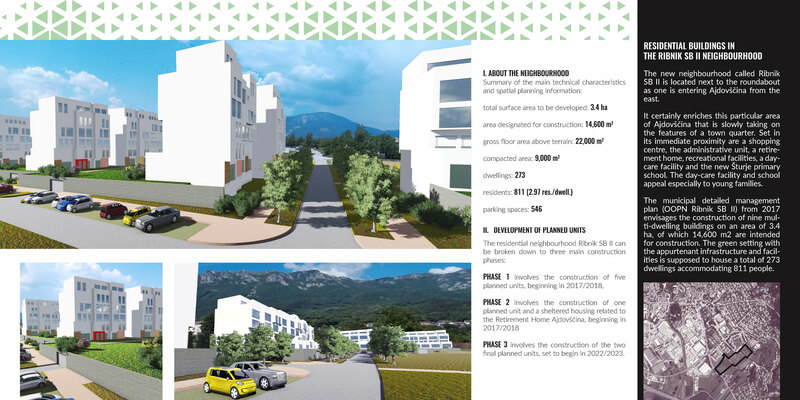 It certainly enriches this particular area of Ajdovščina that is slowly taking on the features of a town quarter. 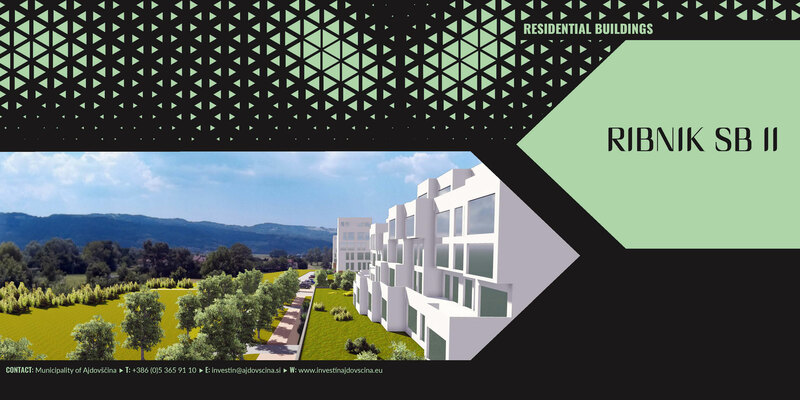 Set in its immediate proximity are a shopping centre, the administrative unit, a retirement home, recreational facilities, a daycare facility and the new Šturje primary school. The day-care facility and school appeal especially to young families. 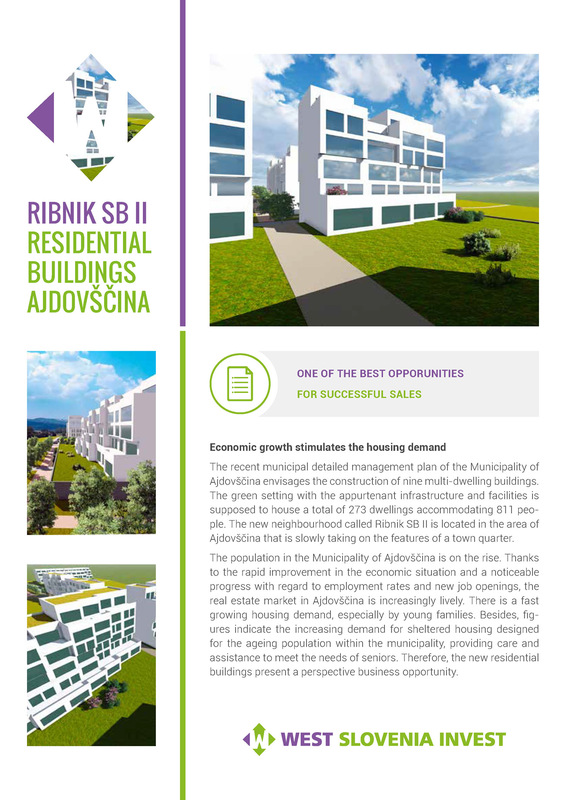 The municipal detailed management plan (OOPN Ribnik SB II) from 2017 envisages the construction of nine multi-dwelling buildings on an area of 3.4 ha, of which 14,600 m2 are intended for construction. The green setting with the appurtenant infrastructure and facilities is supposed to house a total of 273 dwellings accommodating 811 people. 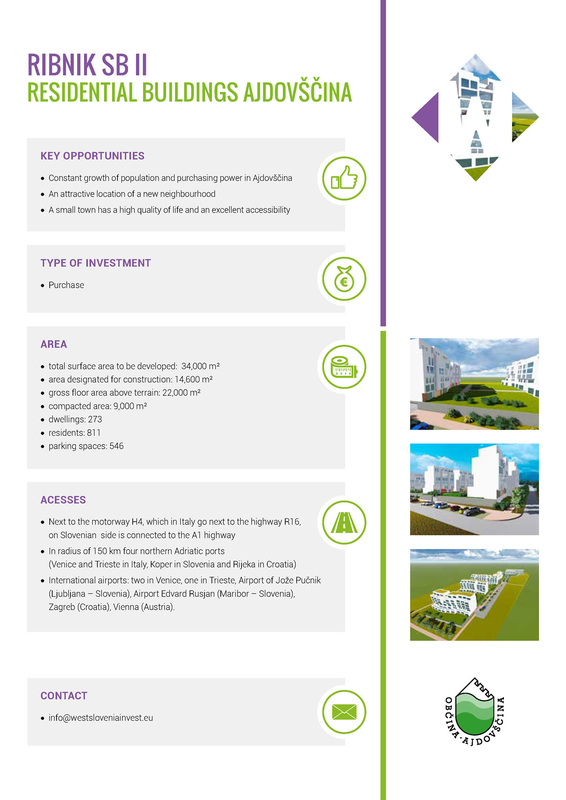 involves the construction of the two final planned units, set to begin in 2022/2023.